For a business to run smoothly on a daily basis, businesses rely on the suppliers of different products or goods that they cater to. From office equipment, stationary, food, and even the supply of electricity, the manufacture and the delivery of these products are an essential part of running a business. 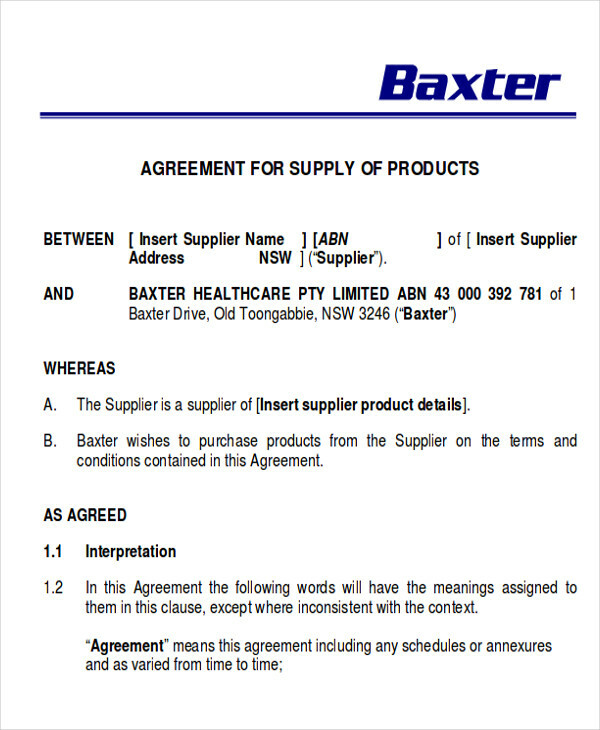 Supply agreement contracts are the starting point for a good relationship between the client and the supplier. For most businesses, building a strong and good relationship with their supplier is a very significant aspect to smoothly run the different kinds of businesses that we have. 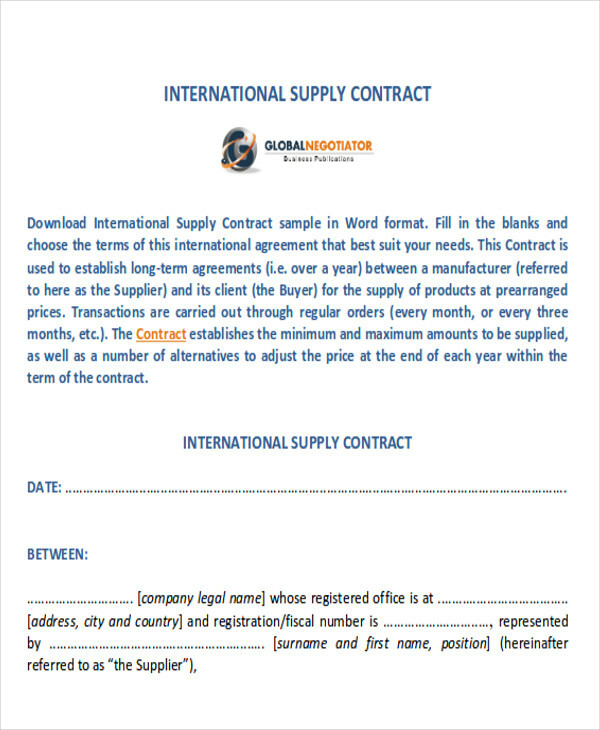 The Sample Agreements that we have on this page will help you in creating different kinds of agreement contracts, which you can download. 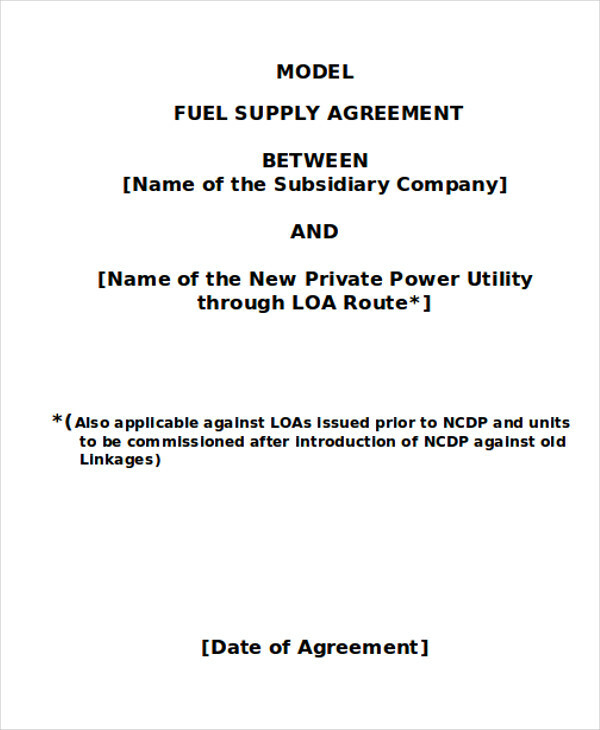 Why Are Supply Agreement Contracts Important? 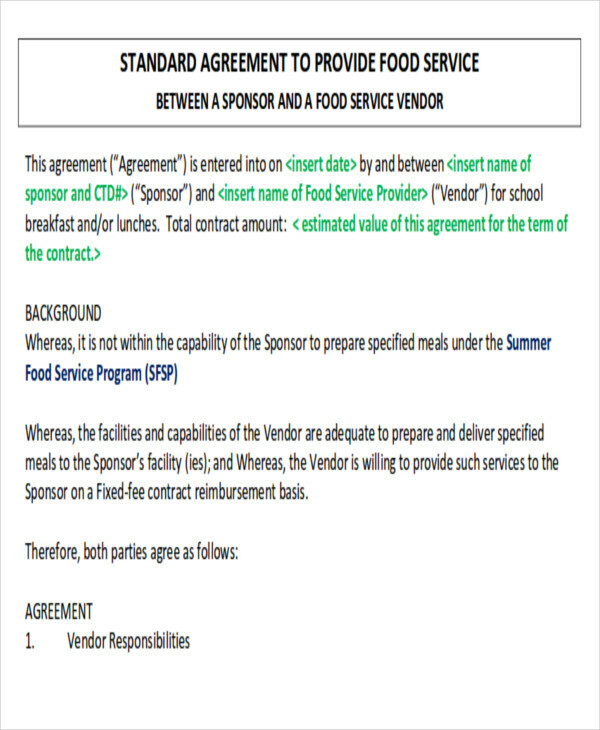 Supply contracts are critical in business relations. Agreement contracts should always be properly negotiated, drafted, and executed. These contracts help in clearly setting out the rights and responsibilities of both the supplier and the client in their transactions and removes any uncertainty between both parties. 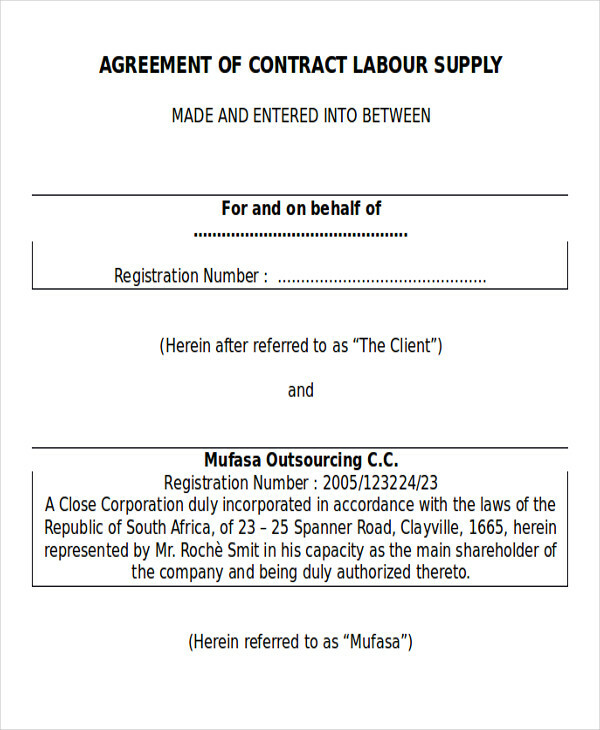 An agreement contract is a legal document that also protects the rights of either party. 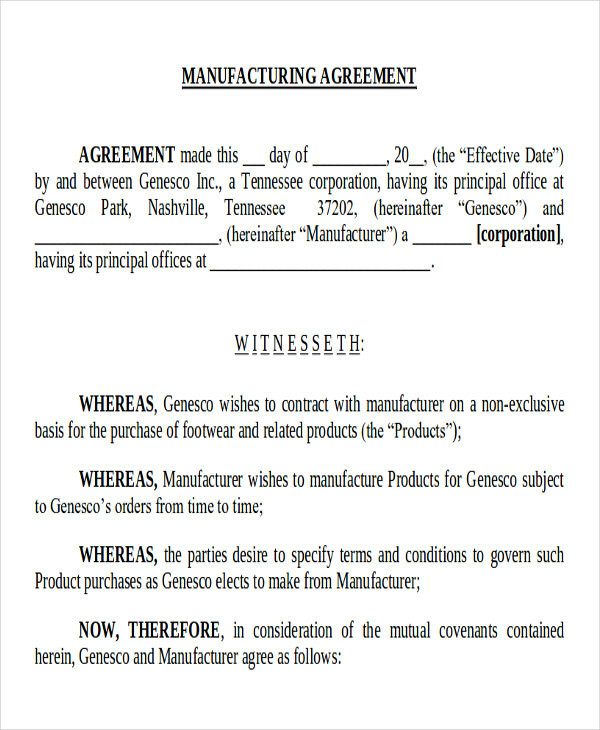 if applicable, the signatures, dates, and witness signatures should be stated in the contract. Our Sample Contract Agreements and Rental Agreement Contracts may also be useful to you, just click on the links to download. 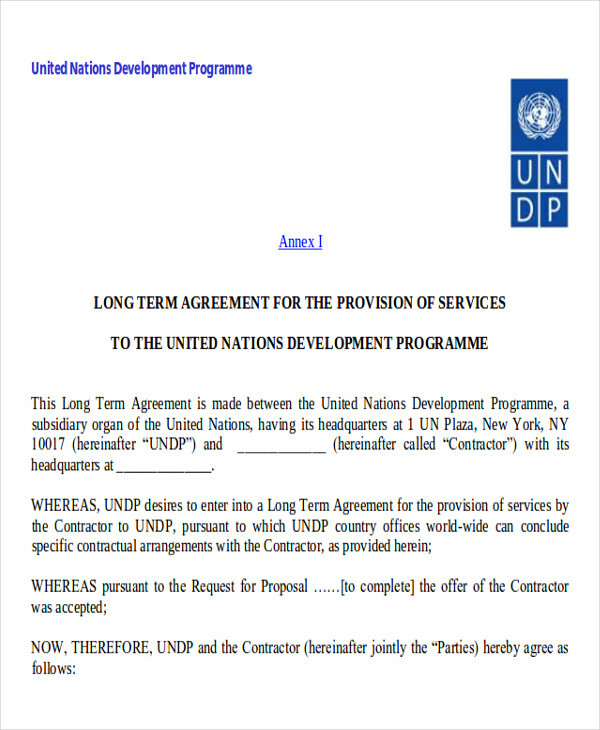 Firm fixed type contract – This type of contract is used more often than any other type of contract. Products purchased that are easily defined where the pricing is established usually use this type of contract. Fixed price escalation contract – A fixed price of escalation contract is normally used when materials or goods will be delivered in a span of several years. This type of contract will protect both the supplier and the client from material price fluctuations in the future and can deal with the cost even if it increases or decreases. Fixed price incentive contract – This type of contract arrangement is used for materials that are difficult to define or any product that has never been produced before. This arrangement will protect the client from contracting at a higher price. 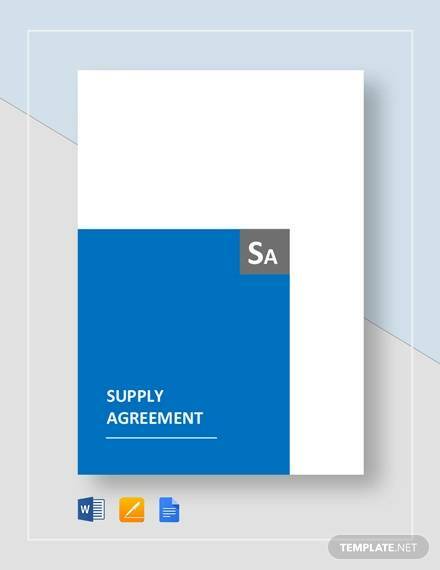 Every supply agreement contract must be put to writing to avoid any uncertainties in both the supplier and the client. 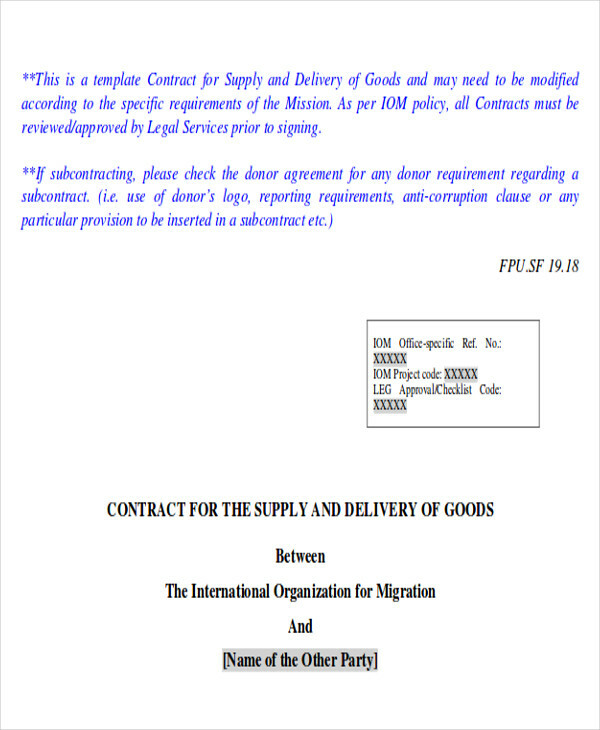 This is to ensure that all parties have a common understanding of the terms and conditions of the agreement and to make sure they are on the same page. The samples we have on this page are available for you to download. 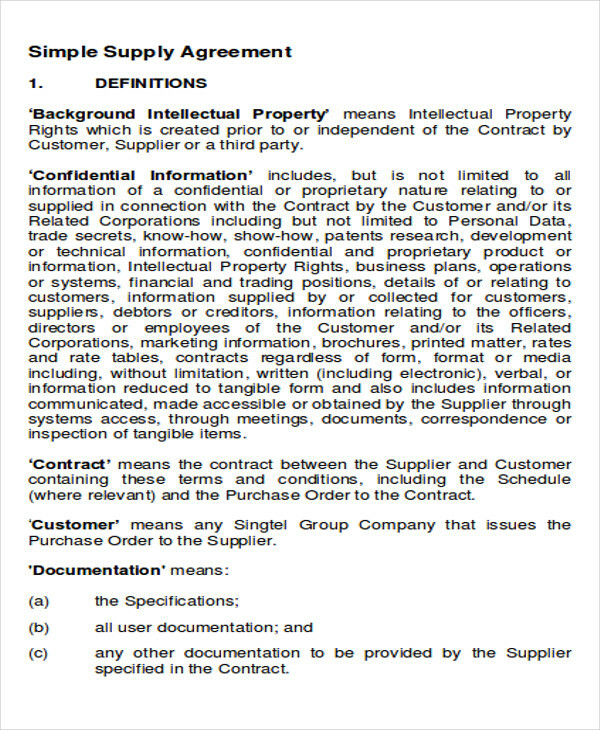 We also have Contractor Confidentiality Agreements if you need it, just click on the link.